On the new downtown 2020 plan, I noticed what looks to be a tower on the third anchor lot for macarthur.? maybe my vision is blurry lol. looks to be around the height of wells fargo. maybe a tad shorter. i think you guys should check it out there's alot of new buildings that i really don't know much about? like mid rise buildings surrounding city hall. looks pretty good though. Yeah I urge everyone to look at the Pattern Book. Lots of good information and it seems like Norfolk is really stepping up it s architecture and is done throwing up cardboard boxes. They mentioned the Snyder Lot being a premier entry to Downtown, lots of renderings of the Hampton Inn, and beautiful pictures of St. Pauls Quadrant. I will admit though the pictures of Granby Tower were beautiful and quite depressing. I highly doubt its really 27 stories! I WISH! But doubt it. That would make it the tallest in the city. Did you see where it has the westin at 31!? Hampton Inn was at 14 though. Still good for density. This new pattern book has me so excited for the next decade of Norfolk. The court complex looks awesome as well. && the new retail and apartments around Harbor Park with a ferry dock! All i can say is wow! Did you see on the 2020 poster the tower on the third anchor lot? The rendering for Wachovia is slightly different. There is an extra section on the top towards the middle of the tower that could account for that height. The question becomes, is it a new rendering or an old one that we missed? The building is not to the point where we'd notice a structural difference yet, we'll know for sure in a month or so. I find the Westin height highly plausible as they went back into design phase. It's not out of the question that people who got their deposit money back from Granby would approach the developer about getting a condo in the Westin. Yeah I knew something looked slightly different but I didn't take the time to compare the two. I hope its 27. This is coming straight from the city as of February 2009 so I don't see why the city would lie. Like you said, the Westin is highly believeable. All of this is great. Never underestimate the ability of Norfolk not to update anything. Trust me, they are notoriously inaccurate with these things. I really wouldn't get my hopes up. That same .pdf has Belmont looking way taller than it actually is, so obviously they used an old rendering for that. I have a feeling we're looking at what could have been if the economy hadn't bottomed out. forgive me for questioning you though. I hope its an accurate update !!! There's so many different renderings. I'm not going to get my hopes up. They are in the process of removing the old facade this weekend. Altschul's buried a nice looking building. Luckily, it will be beautiful again after some cleanup and rehab. What a wonderful re-addition to the Granby Street corridor! It's on page 37. They label it as a Type-C skyscraper and have a rendering of it going above 12 stories when in actuality it is only 7. Who knows, maybe we are going to be pleasantly surprised? By the way, a pattern book really is a wonderful idea. Seeing what terrible developers do up here in NYC completely unchecked and uncaring for the surrounding area or aesthetics of the building, it's really nice to see Norfolk show they care so much about the appearance of their city. Especially if they influence developers to build a little less modern and a little more classic revival, Norfolk will have a beautiful city to brag about in the next 20-50 years, maybe even sooner. It's too bad about the Hampton Inn too, I really liked the design. The colors were a little unbecoming, but the form was so nice. Hopefully its form and architecture will be ressurected somewhere else in the city, or in the same spot as apartments. 1. This building was over 80% leased before they broke ground. 2. Some large businesses will locate in the building. Who knows? Economic conditions may mean additional consolidation of offices to this site. 3. Available office space is becoming more and more scarce, so businesses want to get in while they still can. 4. Meanwhile, the amenties will help demand. You have a light rail stop there. A new hotel that could host corporate conferences. And plenty of restuarants and shopping. 5. Correct me if I'm wrong, but doesn't the parking seem to be more that what we originally thought? Yes, I know the parking will be used for a number of purposes, including public events. But I never expected the parking garages to be this massive. Oh, well, nice to dream. "In the '50s or '60s, 427 was boarded up and plastered over to accommodate the 'modern' downtown aesthetic." This quote was from the article about the rennovation of the Altshul's building. Could Urbanlife (or anyone else who knows architectural history) explain why boarding it up was necessary to accomodate the modern downtown. Was sixties architecture truly anti ornamentation? I've always hated it, but I always thought it was a cost and functional idea developed from the Seagram building (though, i think that was more international design than cost and function so I could be wrong there too), but now this article makes me believe the original modernists were anti-historic and ornamental buildings. Well modernism was all about straight lines, sleekness, futuristic/new world. Something as simple as turning an older building into a sleek, plain box was an improvement. They tried to adapt the building to the time. Now we look at the old facade and think "wow how historic!" Back in the modernist movement, it probably just looked tired and old in a time when everything was about newness and the future. On the Noforlk.gov site, it shows the Downtown Norfolk 2020 Pattern book. It show new rendering and different prespective points of building that is also be built. It also mention the Wells Fargo Center at being 27 stories, and the Westin Hotel as being 31 stories. Has the numbers change or is this incorrect??? A lesson we would do well to remember before we tear down all of those Modernist eyesores. also another thing that was going on at this time was the popularity of cars was on the rise...it was thought that it was very important to use large lettering and large simple detail surfaces to attract someone's eye as they drive by....especially with a smaller building like this, it was definitely seen as a way to make their store stand out and suggest that they were modern and apart of the times. The biggest issue I have with modern architecture is the complete disregard that it had from the lessons from the past that were learned. Modernists wanted a clean slate to work with, and we are all aware that there is no such thing as a clean slate, you always have to work with what is presently there....though Post Modernism I hate even more because it ignored the mistakes of modernism and picked randomly from the past and applied it to architecture in a very haphazardly way that was absolutely pointless. But Post Modernism wasn't about either haphazardly or randomly applying elements from the past. Architects like Charles Moore carefully pulled from the past to create complex and literate buildings. That others misinterpreted those designs and produced crap is hardly cause to condemn the whole movement. A developer is proposing to build a 22 unit apartment complex on the current site of a waterfront single family home near ODU at the intersection of Killam Ave and 51st Street but first needs zoning approval from the city. I say go for it, that area should be high density residential and most of the housing back there has no historic significance. If the neighborhood doesn't want it then they can form a co-op and buy the property from the developer and turn it into public space. IDK if this has been posted before but I found this off of norfolkdevelopment.com it is a list of projects that are supposed to start this year. Which projects do you guys think will actually begin in '09.? The first four are under construction and so is Town Point Park. Not sure if it'll begin in 09 but I know the TTC student center is under design, that's definitely going to happen.. The Market Square Station will happen with Light Rail. So they're actually moving forward with quite a few projects. 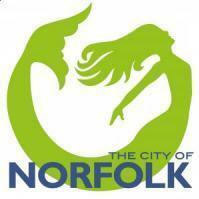 We may not agree with everything Norfolk is doing but they certainly have a lot going on in a recession.